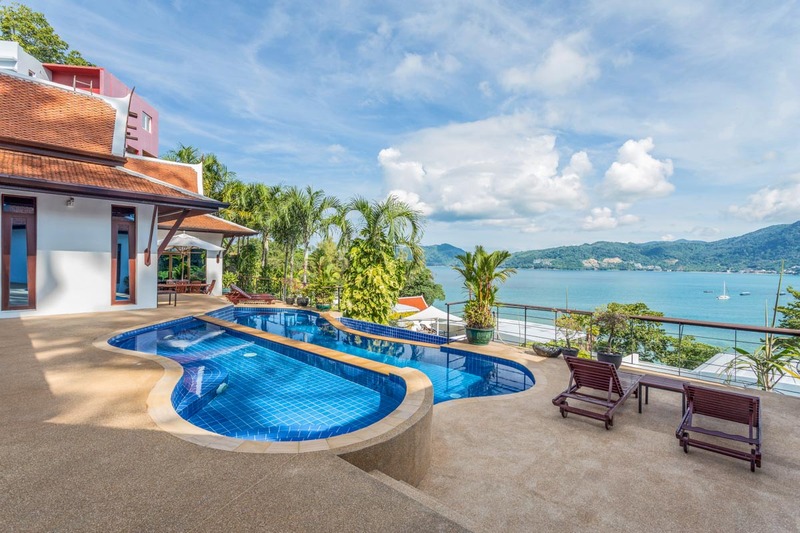 Pra Nang Villa is situated high in the hills on the south end of Patong Beach, the villa offers everything you could want on a luxury holiday including 5 master bedrooms, 2 level swimming pools, games room, private gym, HiFi sound system, Wi-Fi, indoor and outdoor dining areas and comfortable living room. 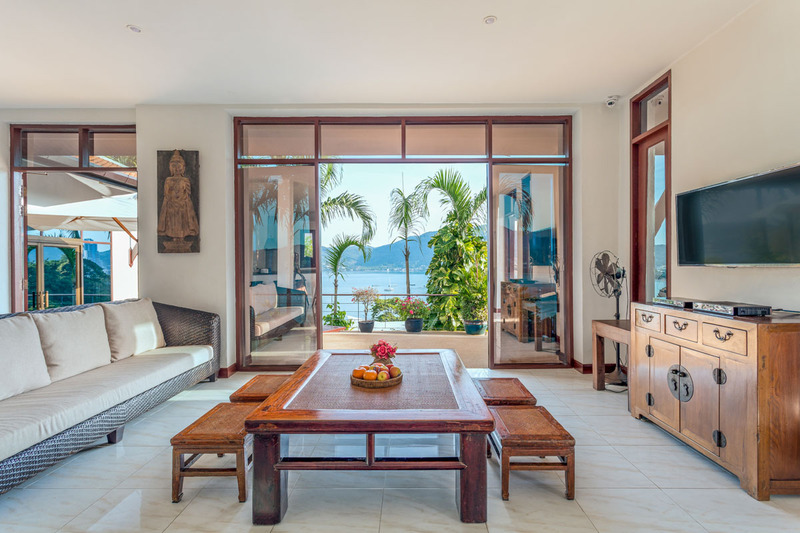 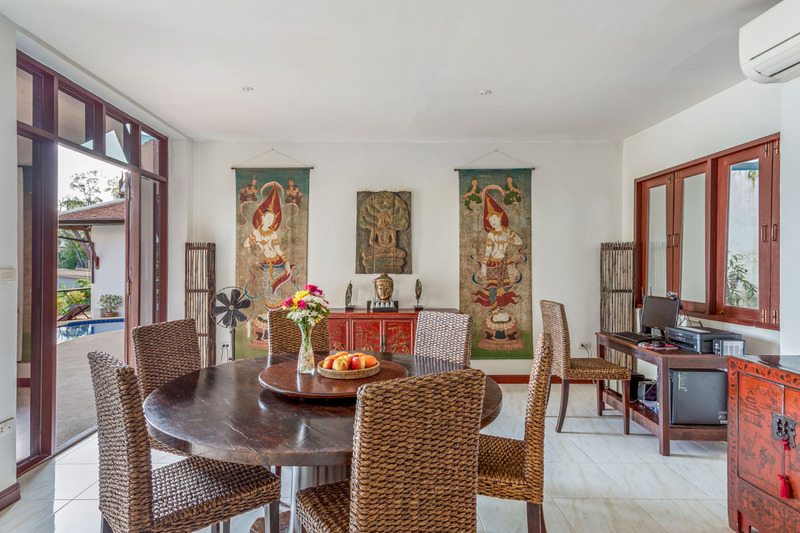 Decorated in traditional Thai style, the spacious open plan kitchen, living and dining areas open out to impressive sea views from the central deck area with swimming pools on both levels. 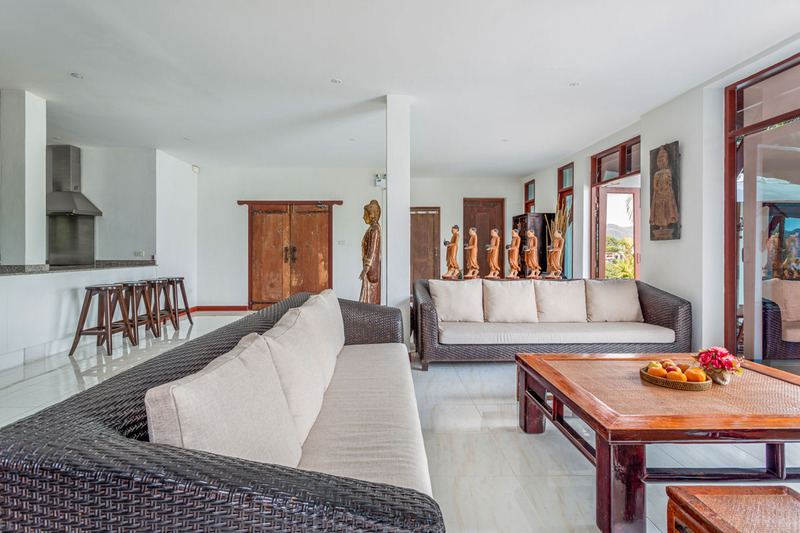 Outdoor seating and sun loungers invite you to simply relax and unwind. 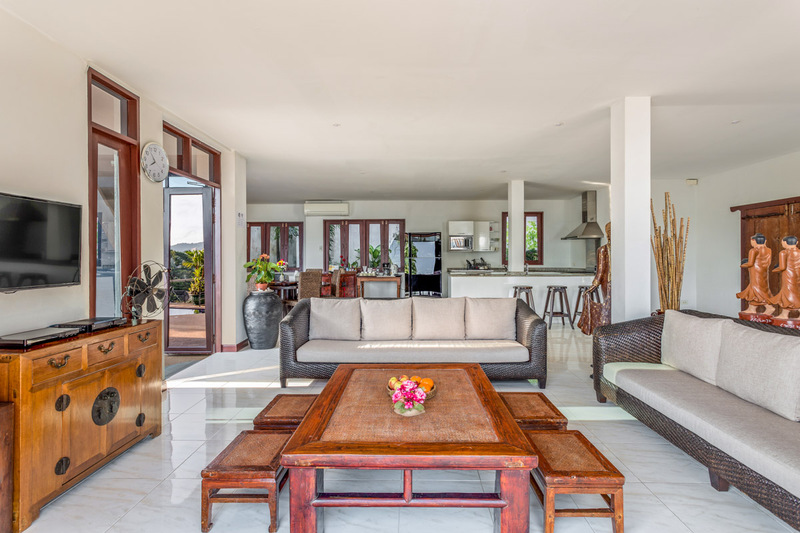 The stunning deck area has swimming pools on two levels and the outdoor seating and sun loungers overlooking the ocean invite you to relax and unwind. 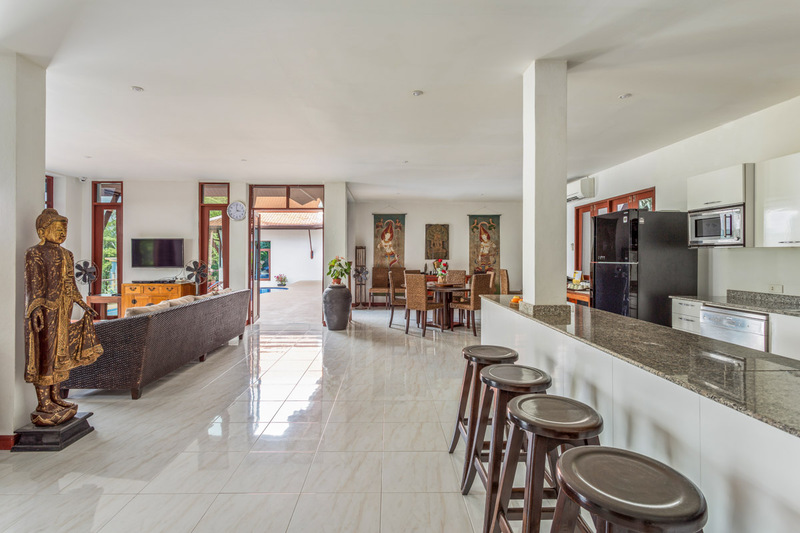 The well equipped modern kitchen is available for guest use as staff use the Thai kitchen below to prepare food. 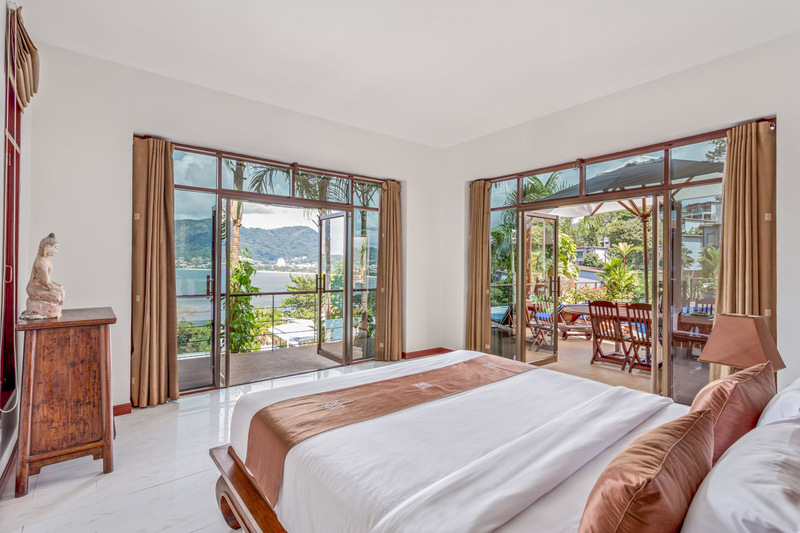 The 5 elegant bedrooms open out to the deck with stunning sea views beyond and each has their own ensuite bathrooms. 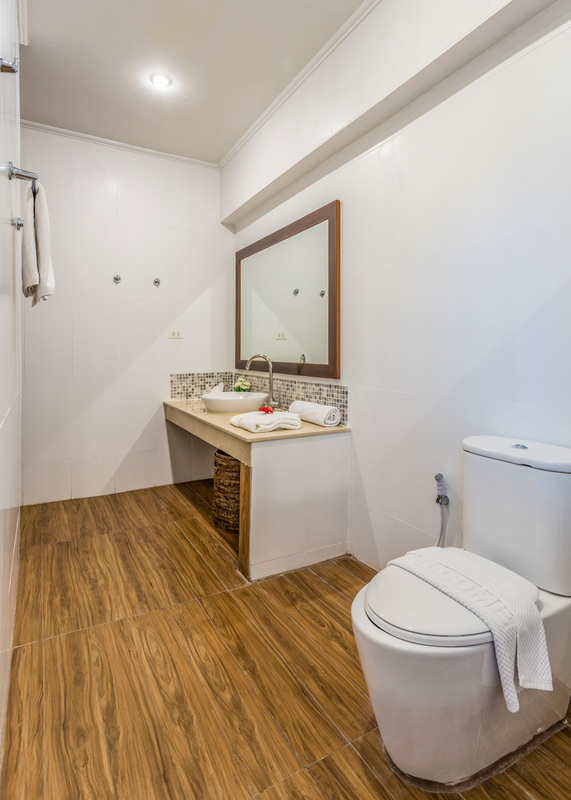 Space and privacy is provided for all guests and the layout is perfect for larger groups of family or friends vacationing together. 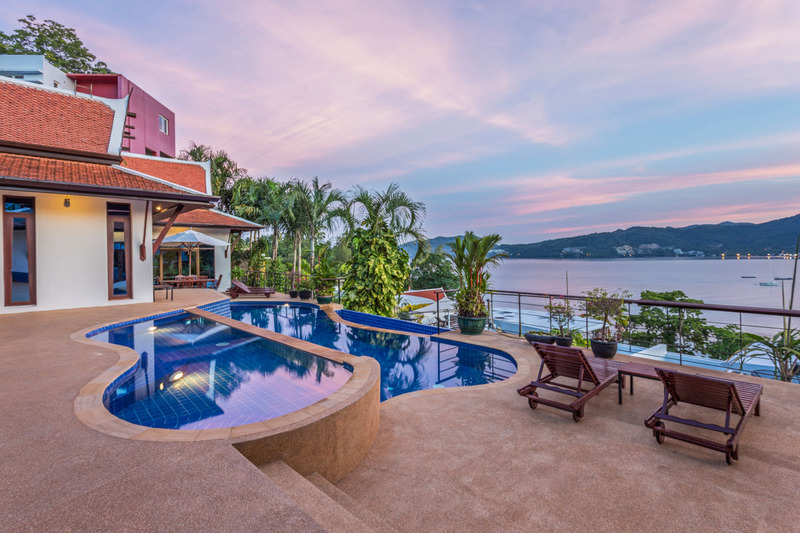 Luxury Pra Nang Villa is set around panoramic sea views of beautiful Patong Beach, the finest of modern villas with great location. 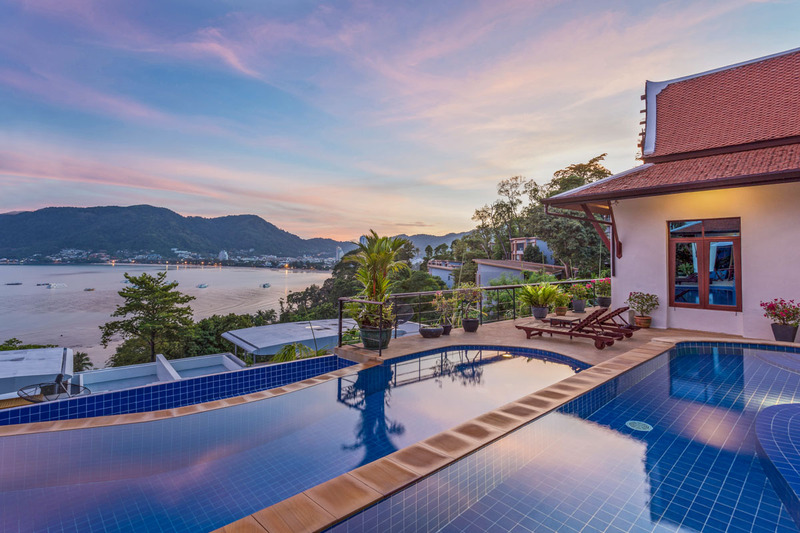 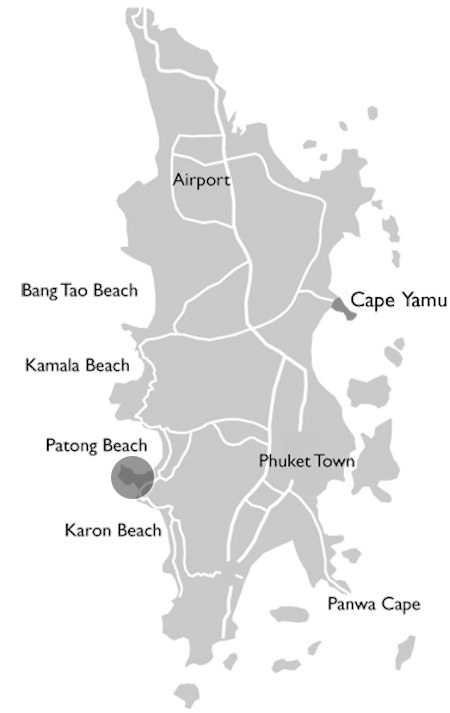 Only 5 minutes from beaches, shopping, dining & the night life of Phuket. 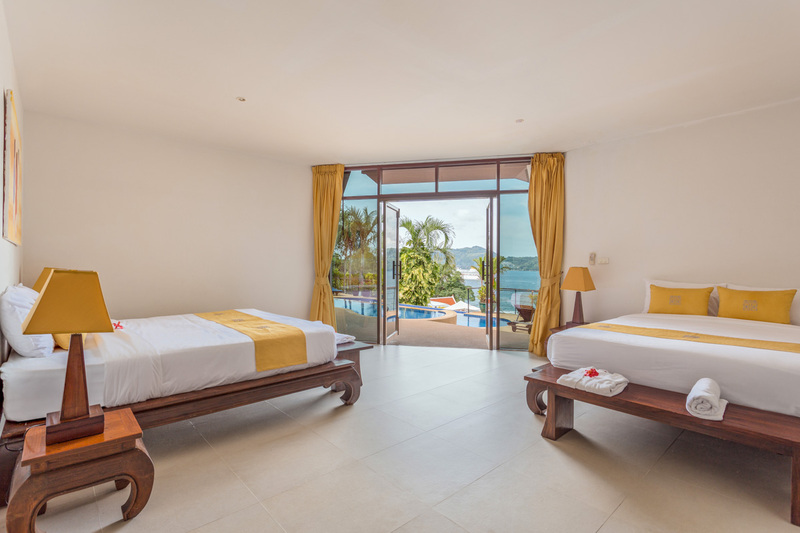 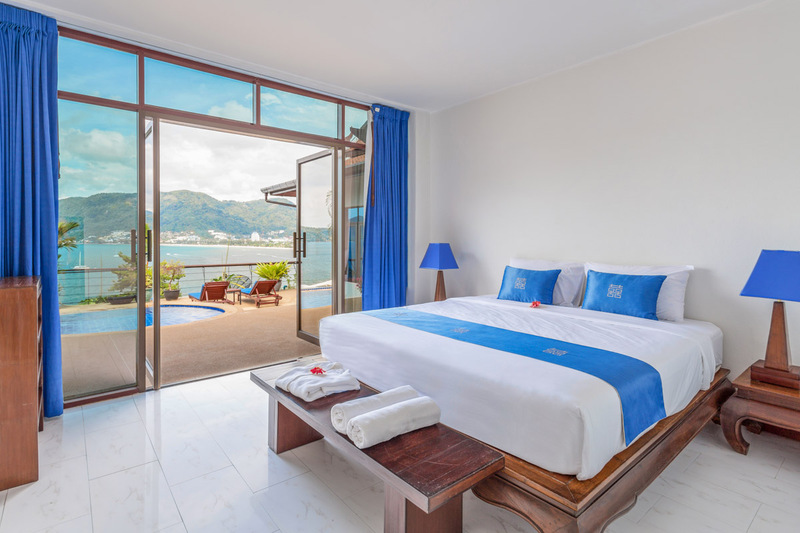 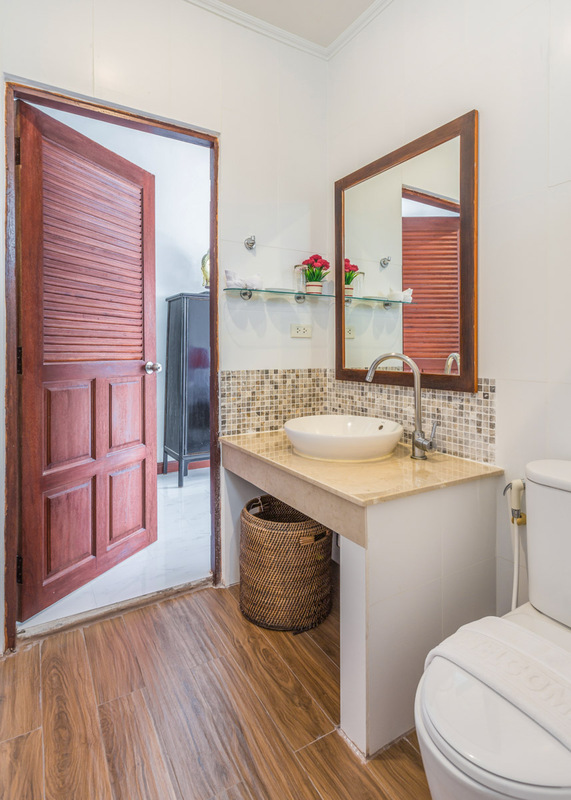 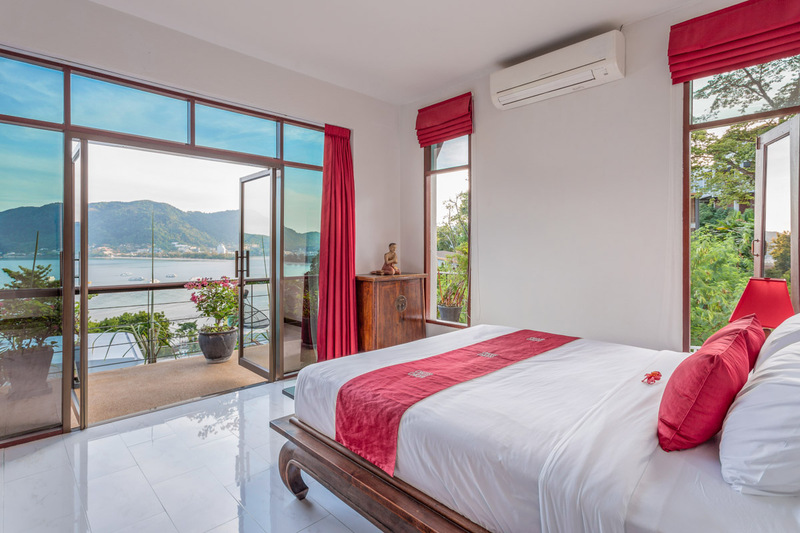 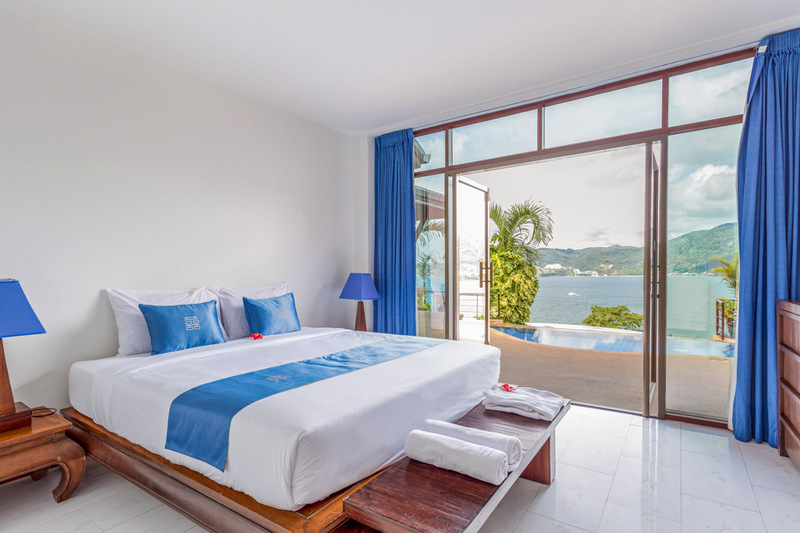 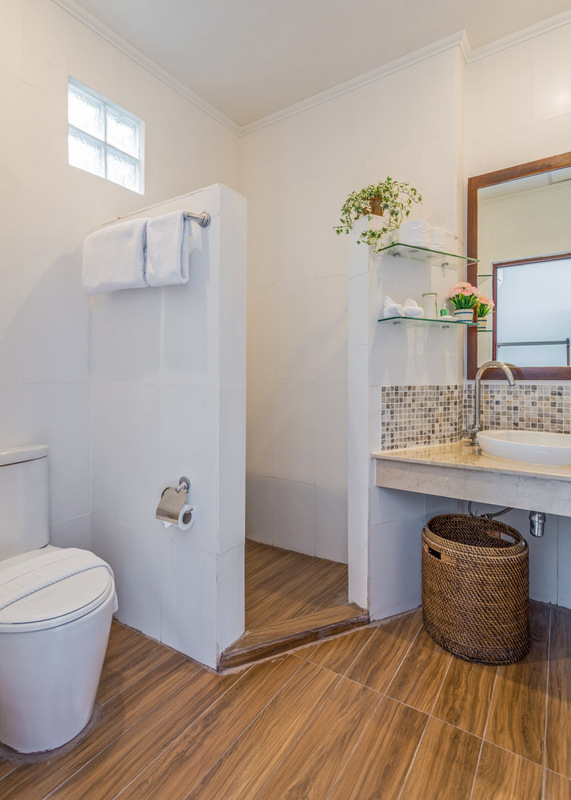 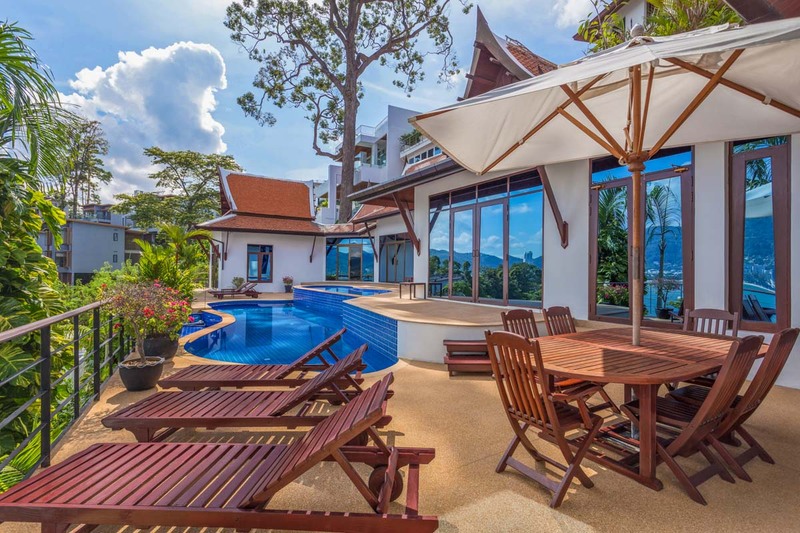 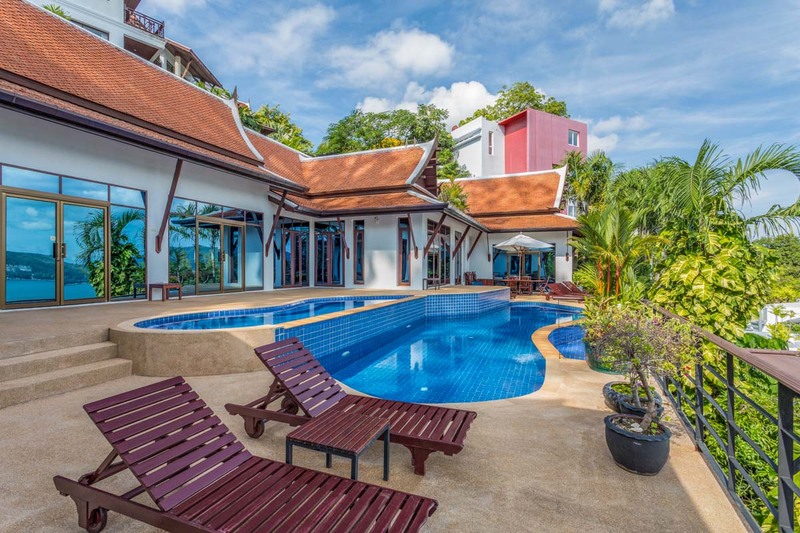 Located high in the hills on the south end of Patong Beach, it is a great base to Phuket if you’re after hustle and bustle with its many popular attractions including international shopping, markets, restaurants, bars and vibrant nightlife.